Diabetes is the disease which is characterized by high blood glucose levels. Insulin resistance is the condition which is characterized by the body cells not being able to take up glucose from the bloodstream. Diabetes is a disorder in which the level of blood glucose is too high because of problems with the pancreas or how body cells react to insulin. There are a couple of causative factors that can result in the development of diabetes. Diabetes type 2 is usually caused by living an unhealthy lifestyle which includes not exercising and not eating healthy food. Gestational diabetes is caused sometimes by being pregnant and diabetes type 1 is caused by an autoimmune response in which the body attacks the cells that produce insulin. Diagnosis of diabetes relies on various blood sugar tests. A person can have an A1C test of blood sugar in which you do not need to fast, but it is better to have either glucose tolerance testing or fasting sugar tests as these are more accurate. A fasting test involves a patient not eating for the night before the test is administered and then the blood sugar is measured. A result of greater than 100 mg/dL on the fasting test and a value of 200 mg/dL or higher on the tolerance test is diagnostic for diabetes. An A1C test result of 6.5% or more may indicate diabetes. Some of the symptoms, if you are diabetic, are increased hunger and thirst, problems with your eyesight, fatigue, nausea and a fruity odor on the breath. Sometime people also have symptoms of hypoglycemia as a result of the insulin treatment. Treatment options may vary depending on what type of diabetes a person has. In some cases, exercise, weight loss and a change in diet can control blood sugar levels. In other cases, medications and injections of insulin may be needed in addition to a carefully controlled diet. There are many problems caused by high blood sugar levels. Many organs can be damaged including the kidneys, eye, and heart. People often suffer nerve damage which means that they do not sense when they have an injury on an extremity. This means that sores and abscesses are common and these can become gangrenous resulting in limb amputation. Diabetes can cause ketoacidosis that can result in patients falling into a comatose state. Death from diabetes and its complications can occur. Insulin resistance is the condition that occurs when your body does not react how it should to insulin, and your cells have difficulty taking in the sugar from the blood. People who are insulin resistant are often said to be in a state of prediabetes. The condition of insulin resistance appears to be caused by a combination of factors including poor diet, being obese with a high body mass index (BMI) and a waist measurement of or in excess of 35 or 40 inches. Researchers have found that high levels of visceral fat as shown by waist circumference are more important than BMI in predicting the development of insulin resistance. Being inactive also seems to be a factor contributing to insulin resistance. Blood tests in which blood glucose is measured is the most effective way of detecting and diagnosing this condition. Oral glucose tolerance testing is particularly useful and a result of 140 to 199 mg/dL indicates the condition. An additional test for diagnosing this disorder is known as the A1C test, and this indicates insulin resistance if the values are 5.7 to 6.4%. A fasting blood sugar value of 100 mg/dL is also often a sign of prediabetes. There are frequently no obvious symptoms to indicate that a person has insulin resistance. There may be, in some cases, a darkening of the skin in certain parts of the body such as the armpits or on parts of the neck. Often the condition of insulin resistance can be reversed through a change in diet and lifestyle. Following a healthy diet and frequent exercise along with weight loss may reverse this condition in many people. The medication metformin may also be used sometimes to help make body cells more sensitive to the effects of insulin. Insulin resistance is the disorder that usually leads to the development of type 2 diabetes in people. Diabetes is an illness that occurs in which a person’s blood sugar is excessively high due to cells being insulin resistant or pancreatic cells not secreting insulin. Insulin resistance is the condition in which the cells do not respond to insulin. Diabetes can affect people at any age from childhood through to adulthood. Insulin resistance is typically most evident in adults who are older than 45 years of age. The causes of diabetes include autoimmune disease, living an unhealthy lifestyle and being overweight, and sometimes, pregnancy. Insulin resistance is caused by being overweight and leading an unhealthy lifestyle. 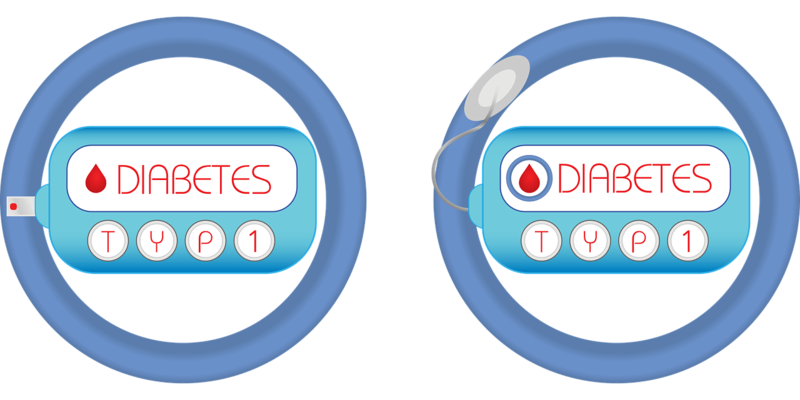 Diabetes can be diagnosed by blood tests; namely, a fasting test result of greater than 100mg/dL, a glucose tolerance test value of 200mg/dL or more and the A1C test value of 6.5% or more. Insulin resistance can be detected by the same tests but the values are lower. Fasting glucose test would be 100 mg/dL, glucose tolerance test levels would be 144 to 199mg/dL and the A1C test result would be 5.7 to 6.4%. People with diabetes have noticeable symptoms including increased hunger, thirst, and urination, nausea, fatigue and problems with eyesight. A noticeable fruity smell on the breath is also often evident. People with insulin resistance often have no noticeable symptoms other than possibly some darkened skin on the neck and in the armpits. Treatment may vary depending on what type of diabetes a person has and may include exercise, a change in diet and weight loss, as well as medication and injections of insulin. Insulin resistance is best treated with a change in diet, exercise and weight loss. In some cases, the medicine metformin may be prescribed. Diabetes complications include kidney problems, heart problems, and vision problems. Patients may also experience ketoacidosis that could result in a coma; diabetes can cause death. The complication of insulin resistance is the development of type 2 diabetes. Diabetes is a disorder in which the levels of glucose in the blood are too high. Insulin resistance is a condition in which the cells of the body are unable to take up the glucose from the blood plasma. Insulin resistance can lead to diabetes type 2 if not treated. Diabetes type 2 has many severe complications and can result in death. Dr. Rae Osborn. 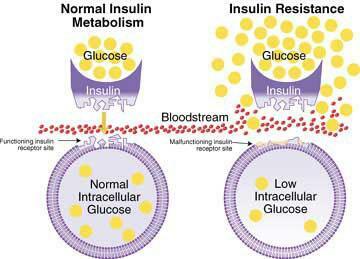 "Difference Between Diabetes and Insulin Resistance." DifferenceBetween.net. February 11, 2019 < http://www.differencebetween.net/science/health/difference-between-diabetes-and-insulin-resistance/ >. Hardy, Olga T., Michael P. Czech, and Silvia Corvera. "What causes the insulin resistance underlying obesity?" Current opinion in endocrinology, diabetes, and obesity 19.2 (2012): 81.